Falls are a major concern in terms of fracture risk. Although awareness rising for the absence of falls in the FRAX algorithm, our study only identified the independent predictive role of previous recurrent falls and their better conjunction use with FRAX for major osteoporotic fracture prediction in older Chinese men. Although the association of falls with fracture has been widely explored, the impact of previous falls is not included in the FRAX algorithm currently. 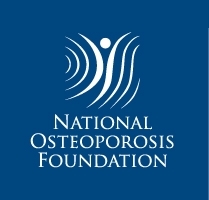 Our aim was to examine the FRAX-independent associations between falls in the previous year and subsequent fracture risk, as well as the conjunctive use of falls and the FRAX score for major osteoporotic fracture (MOF) prediction in older Chinese people. Four thousand community older men and women aged 65 years or older were followed up for 9.9 ± 2.7 and 8.8 ± 1.5 years, respectively. The associations between falls in the previous 1 year and MOF risk by follow-up years were evaluated using the Fine and Gray model. New prediction scores were calculated by incorporating the falls and FRAX scores using the Fine and Gray model, or developed by adjusting the FRAX scores by 30% increased risk for each fall in the previous year. The predictive powers for MOF risk between the new scores and FRAX scores were evaluated by the area under the curve (AUC) and category-based net reclassification improvement index (NRI). During the follow-up period, 139 (7.0%) men and 236 (11.8%) women had at least one incident MOF. One previous fall significantly predicted the first year incident MOF in men [hazard ratio (HR) (95%CI), 3.47 (1.02, 11.80)]. Previous recurrent falls significantly predicted a 10-year incident MOF in men [HR (95%CI), 2.42 (1.30, 4.51)]. In men, the fall-adjusting FRAX scores showed significant improvement on total net reclassification of fracture (3–6%). No improved predictive accuracy shown in women. Falls in the previous year are likely to provide some predictive power to FRAX for MOF risk assessment in older Chinese men, but not women. The online version of this article ( https://doi.org/10.1007/s00198-017-4277-8) contains supplementary material, which is available to authorized users. 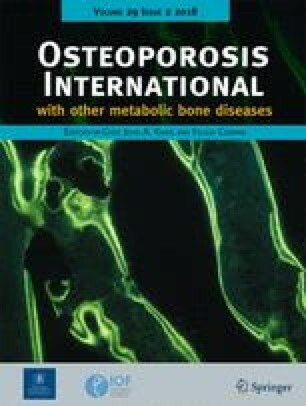 The authors wish to thank all dedicated participants contributing to the study and The Chinese University of Hong Kong Jockey Club Centre for Osteoporosis Care and Control supporting the study. The study was funded by the National Institutes of Health R01 grant AR049439–01A1 and the Research Grants Council Earmarked Grant CUHK4101/02 M.
All procedures performed in the studies involving human participants were in accordance with the ethical standards of the institutional and/or national research committee and with the 1964 Helsinki Declaration and its later amendments or comparable ethical standards. The study was approved by the Clinical Research Ethics Committee of The Chinese University of Hong Kong. ESM 1 (DOCX 20 kb).